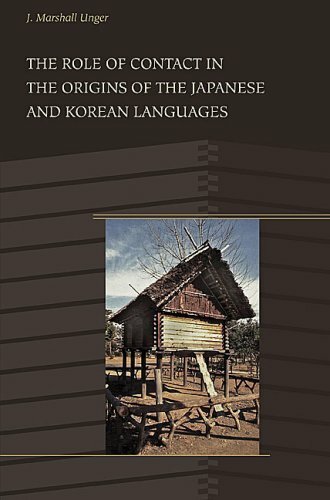 “This rich, lively book is a significant contribution to ongoing debates about the origins of the Korean and Japanese languages and the nature of their relationship. . . . This challenging work requires real commitment from its readers—especially non-linguists—but the intelligence and verve with which it is written, and the remarkable range of information and insight it incorporates, ensure that it richly rewards the effort.” —David B. Lurie, Japanese Studies (UK), vol. 29 no. 3 (2009). Despite decades of research on the reconstruction of proto-Korean-Japanese (pKJ), some scholars still reject a genetic relationship. This study addresses their doubts in a new way, interpreting comparative linguistic data within a context of material and cultural evidence, much of which has come to light only in recent years. The weaknesses of the reconstruction are due to the early date at which pKJ split apart and to lexical material that the pre-Korean and pre-Japanese branches later borrowed from different languages to their north and south, respectively. Certain Old Japanese words must have been borrowed from Korean from the fourth century C.E., only a few centuries after the completion of the Yayoi migrations, which brought wet-field rice cultivation to Kyushu from southern Korea. That leaves too short an interval for the growth of two distinct languages by the time they resumed active contact. Hence the original separation occurred on the peninsula much earlier, prior to reliance on paddy rice and the rise of metallurgy. Non-Korean elements in ancient peninsular place names were vestiges of pre-Yayoi Japanese language: one should doubt the assumption that Korean developed exclusively from the language of Silla. More likely, the rulers of Koguryo, Paekche, and Silla all spoke varieties of Old Korean, which became the common language of the peninsula as their kingdoms overwhelmed its older culture and vied for dominance. Was the separation so early as to vitiate the hypothesis of a common source language? No: assuming non-relationship obviates difficulties of pKJ reconstruction, but it fares worse than the genetic hypothesis in relation to non-linguistic findings, and fails to explain a significant number of grammatical as well as lexical similarities. Though improving the reconstruction of pKJ will be challenging, the theory of genetic relationship is still the better working hypothesis. 1977 Studies in Early Japanese Morphophonemics. Bloomington: Indiana University Linguistics Club. Second edition, 1993. 2013 A Possible Grammaticalization in Old Japanese and its Implications for the Comparison of Korean and Japanese. Shared Grammaticalization in the Transeurasian Languages, ed. M. Robbeets and H. Cuyckens, pp. 341–53. 2012 The Likelihood of Morphological Borrowing: the Case of Korean and Japanese. Copies versus Cognates in Bound Morphology, ed. L. Johanson and M. Robbeets, pp. 411–25. Leiden: Brill. 2010 New Etymologies for Some Japanese Time-words. Journal of the American Oriental Society, vol. 130 no. 1 pp. 35–41. 2010 A Note on Como’s Weaving and Binding. PMJS: Premodern Japanese Studies (pmjs.org), PMJS Papers, posted on-line. 2011 What Linguistic Units Do Chinese Characters Represent? Written Language & Literacy, vol. 14 no. 2 pp. 293–302. 2008 Two Japanese Vegetable Names Borrowed from Korean. Korean Linguistics, vol. 14 pp. 223–29. 2011 A History of the Japanese Language, by Bjarke Frellesvig. Language, vol. 87 no. 4 pp. 991–15.